Introducing the "RUN" charity for refugees in Hong Kong! We have some exciting and important updates to share with you at Free to Run. As many of you know, Free to Run started in 2014 with a mission to bring outdoor sports programs to women and girls in regions of conflict. We began in Afghanistan and we’re still successfully operating there today, even with the very challenging security situation. 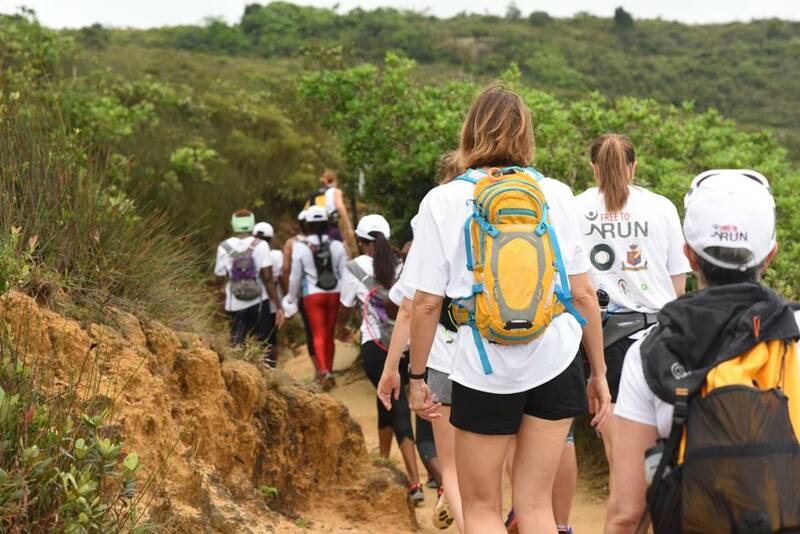 In 2015, we introduced a special hiking program for refugees who were living in Hong Kong. It started as a small program that offered a weekly hike for a handful of female adult refugees. Under the incredible leadership of Virginie Goethals and Brenda Sawyer, the Hong Kong program has flourished and become its own standalone charity. This program has grown in a way that none of us anticipated - delivering sports, mental health, fitness and educational programs to over 80 refugee women, men and children. Thanks to the strong support from the Hong Kong business and running community, their innovative program for refugees is gaining momentum and success. At the same time, Free to Run has significantly expanded our programs in Afghanistan. We started with a hiking program in one province and are now operating across three regions in the country, with plans to expand to a fourth. Last year we delivered over 550 sports training sessions, 50 educational sessions, 10 volunteer activities, four mixed-gender races, and two outdoor sports weeks - reaching 100 core athletes and many more who have been positively impacted by our programs. After three and a half years, we have developed our own life skills curriculum to foster confident leaders, and we’re strengthening our community engagement to help drive positive social change. 2018 will be our biggest year yet. Free to Run is looking to expand to other regions of conflict, providing brand new opportunities for women and girls to participate in outdoor adventure and leadership training (follow us on social media for more exciting news!) The Hong Kong refugee program will focus on the specific needs of the refugee women, men, and children they serve; helping them to rebuild their physical and mental health so they can have a more hopeful future. Upon significant reflection and after receiving guidance from professionals in this field, we have agreed that the Hong Kong refugee programme should branch off from Free to Run and continue in its mission to rehabilitate refugees through sport as an independent organization. Our highest priority is to make sure that we have effective, sustainable programs so that we can best serve our athletes. We believe this will be a hugely positive and important step for both organizations. Moving forward, the refugee program will operate under a new name; by March 2018, the Hong Kong charity will be called RUN which stands for Rebuild, Unite and Nurture. In the coming weeks, Virginie will share more on the vision and plans for RUN. It has been a pleasure to see the organization develop and I wish them the very best success as they continue to grow! Thank you to everyone who has provided their support in these first years - we are grateful beyond words. If you have any questions about this announcement, please send an email to me or Virginie at info@freetorun.org.